Researchers at Columbia University Medical Center announced today that they have succeeded in transforming human induced pluripotent stem cells into functional lung and airway cells. The advance, has significant potential for modeling lung disease, screening drugs, studying human lung development, and, ultimately, generating lung tissue for transplantation. "Researchers have had relative success in turning human stem cells into heart cells, pancreatic beta cells, intestinal cells, liver cells, and nerve cells, raising all sorts of possibilities for regenerative medicine. Now, we are finally able to make lung and airway cells. This is important because lung transplants have a particularly poor prognosis. Although any clinical application is still many years away, we can begin thinking about making autologous lung transplants -- that is, transplants that use a patient's own skin cells to generate functional lung tissue. 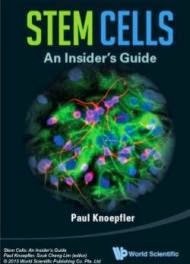 ", said study leader Hans-Willem Snoeck, MD, PhD, professor of medicine (in microbiology & immunology) and affiliated with the Columbia Center for Translational Immunology and the Columbia Stem Cell Initiative. In the current study, Dr. Snoeck and his colleagues found new factors that can complete the transformation of human ES or iPS cells into functional lung epithelial cells (cells that cover the lung surface). The resultant cells were found to express markers of at least six types of lung and airway epithelial cells, particularly markers of type 2 alveolar epithelial cells. 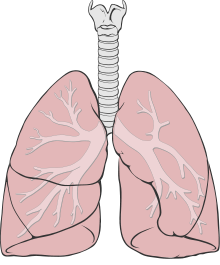 Type 2 cells are important because they produce surfactant, a substance critical to maintain the lung alveoli, where gas exchange takes place; they also participate in repair of the lung after injury and damage. The findings have implications for the study of a number of lung diseases, including idiopathic pulmonary fibrosis (IPF), in which type 2 alveolar epithelial cells are thought to play a central role. "No one knows what causes the disease, and there's no way to treat it. Using this technology, researchers will finally be able to create laboratory models of IPF, study the disease at the molecular level, and screen drugs for possible treatments or cures. In the longer term, we hope to use this technology to make an autologous lung graft. This would entail taking a lung from a donor; removing all the lung cells, leaving only the lung scaffold; and seeding the scaffold with new lung cells derived from the patient. In this way, rejection problems could be avoided." said Dr. Snoeck. Dr. Snoeck is investigating this approach in collaboration with researchers in the Columbia University Department of Biomedical Engineering. "I am excited about this collaboration with Hans Snoeck, integrating stem cell science with bioengineering in the search for new treatments for lung disease." said Gordana Vunjak-Novakovic, PhD, co-author of the paper and Mikati Foundation Professor of Biomedical Engineering at Columbia's Engineering School and professor of medical sciences at Columbia University College of Physicians and Surgeons.